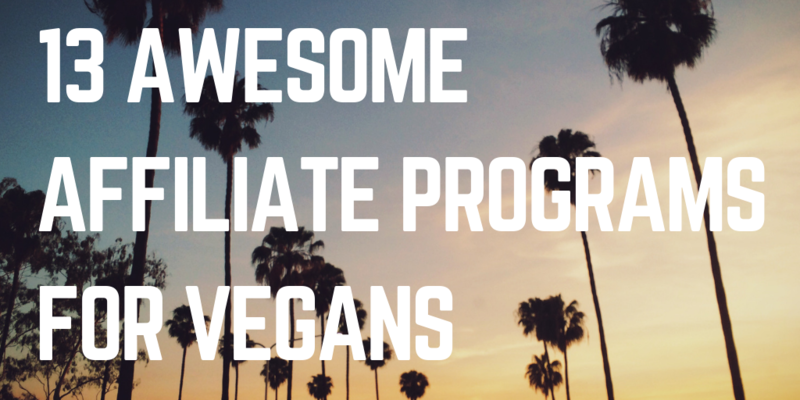 13 Awesome Vegan Affiliate Programs to Make You Money! Looking for some awesome vegan affiliate programs to make some money with promoting vegan products? Well I got a list of 13 for you! Veganism is a wave of the future and there is no stopping it. It is growing in popularity and I only foresee it continuing to do so as our environmental problems continue to pile up. We have seen massive rises in plant-based foods, supplements, personal care products, fashions, and vegan things in a number of other industries. And besides helping save the planet, another perk of this new and emerging market is that you can make money from it. There are a lot of affiliate programs out there and I'm going to show you some of the best of them… 13 of them to be exact. I have broken up the list into four different categories: We have the vegan food/nutrition affiliate programs, vegan e-product affiliate programs, the vegan fashion affiliate programs, and vegan cosmetics affiliate programs. So no matter what type of vegan products you are looking to promote, I'm sure there is a program on this list that will suit your needs. Feel free to jump ahead..
By the way... These are listed in no particular order. One affiliate program might be great for somebody while another might be better for somebody else. First off we have Vegan Cuts. This program offers.. I'm listing this particular program in the food/nutrition section, but really they have a lot more than just food and nutrition. They sell all sorts of vegan products and could be a good choice for a number of vegan audiences. Some of the things they sell include vegan chocolates, shampoo, lipstick, juices, organic green smoothie mix, and more. On the one bullet point above I wrote that they offer $3 commissions on boxes. What am talking about here are product packages that they sell in boxes. For example they have their Beauty Box that is filled with vegan cosmetic and skin care products, all bundled up in one package. They also have their Snack Box that is filled with vegan chips, cookies, sodas and more. This place offers a subscription service where customers can sign up to receive boxes every month. However, I'm not sure if you will be able to earn recurring commissions for their recurring payments. All in all, this is a pretty solid brand with a lot of good products. This seems to be a rather small company, but don't let that fool you. They have some pretty good products, which consist of prepared meals, and you can definitely make some good money from this. They prefer that affiliates promote to the Los Angeles area since this is where the headquarters are located and where the food is prepared, but this is not absolutely necessary because they do have nationwide shipping… Meaning you can promote it nationwide. This place also offers recurring meal plans but again, I am not completely sure whether you will receive recurring commissions or only get paid for the first order a customer makes. 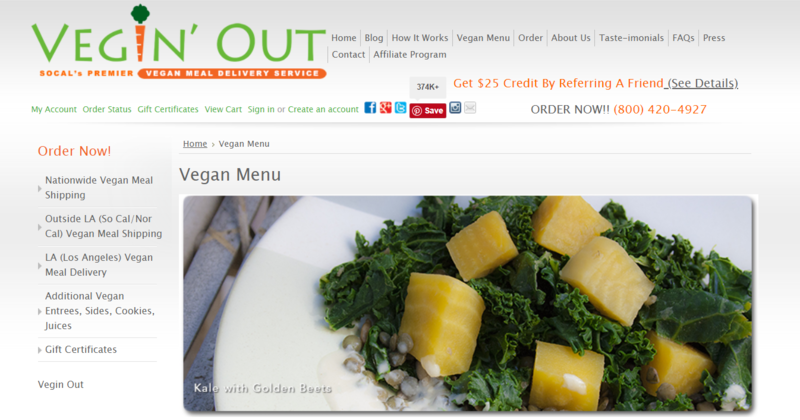 The meals are top-notch and are prepared by a vegan chef that has written volumes of vegan cookbooks. They have a lot of really nice meals and just as I was looking at them a minute ago before writing this, I was getting incredibly hungry. They have Veggie Korma, Sweet and Sour Veggies and Tofu, Pasta Primavera, Peanut Quinoa and more. Some of the perks to the affiliate program in particular are that you do not need a website. 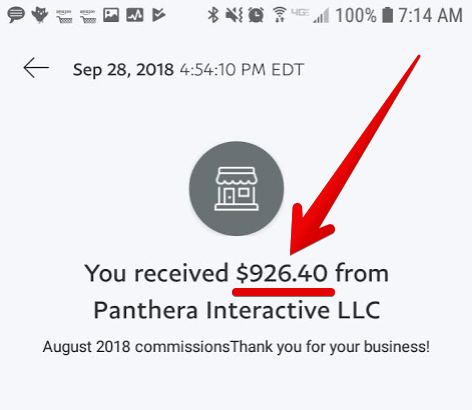 You can promote this on social media, to a mailing list, etc and the sales range from $99-$619.99… Which means there's the potential to earn some pretty high commissions. The affiliate program is run by ShareASale. What is UrthBox? This is a company that gives members a way to discover new healthy foods. In a nutshell, this place is a membership service that delivers boxes of gourmet foods, snacks, beverages, personal care products and more each month… Each box over $50 in retail value. What they do is select new products to include in their boxes from known and upcoming brands. All the products are analyzed and each ingredient is looked at to make sure members are getting the best of vegan products at good prices. You don't really know what you're going to get which makes this a fun way to learn about and experience new products you might not have otherwise came across. People are able to buy Mini Boxes for $19.99 per month or Large Boxes for $49.99 per month. They also sell gift boxes that cover six months and cost as much as $269.99. However, it seems that no matter what type of box you sell you will still get the same $17 commission. Its a nice little vegan service that I think a lot of people will enjoy, I just wish the affiliate program was a bit more lucrative. Ground-Based Nutrition is a place that I really like. The name says it all… Everything comes from the ground. In particular, this is a great affiliate program for someone in the vegan fitness niche… Whether that be vegan bodybuilding, vegan powerlifting, vegan CrossFit, etc. They have a nice selection of plant-based products that include protein powders, pre-workouts, electrolyte supplements, digestion aids and more. Like every other company featured on this list, the products that this place manufactures are good quality and top-notch. So you don't have to worry about potentially promoting a bunch of crappy products that people are going to be angry with. They claim that their average order size is $80. Now I do not know how true this is, but if this is true then that means the average commission would be eight dollars… Nothing amazing but nothing horrible either. To help you get started as an affiliate you will be assigned your own affiliate manager to help guide you and provide support. You will also be provided with banners and have the ability to have the design team costom make banners for your promotional needs. Next on the list is Thrive Market. This place isn't strictly a vegan food market, but it does have a rather large vegan section that is absolutely filled with products. In all, this place carries non-GMO, organic, gluten-free and vegan food/products. How it works is members can join and save 25 to 50% from their massive marketplace filled with various brands and tons of products. Food, beverages, beauty products, personal care products, baby products, pet products, and more… There are plenty of products to choose from which makes this affiliate program attractive for people of various different micro-niches inside the vegan niche. When you refer a new member they first get to take part in a 30 day free trial, in which after they will have to pay the $59.95 for the yearly membership… But even after that you don't get paid. You don't get paid your $25 commission until the customer makes their first purchase. But besides making money, another good thing about this program is that it helps out the community. For every person that you get to join they give a free membership to a low income family. 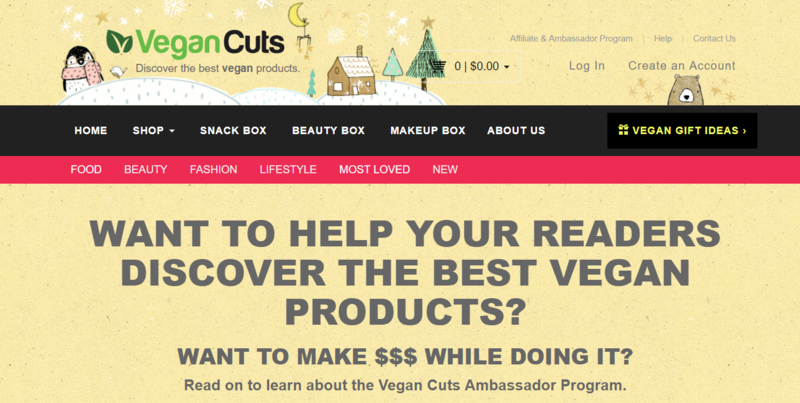 And next up are the vegan e-product affiliate programs. E-products can be things like e-books, digital programs, training guides and so on. 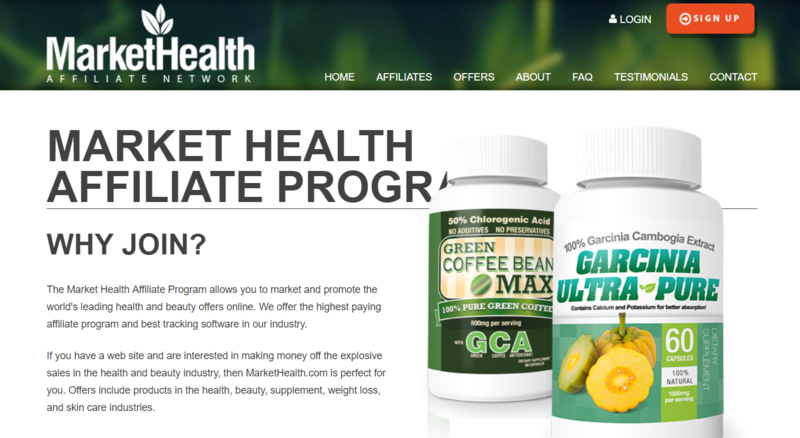 Not only do the affiliate programs listed below sell vegan related e-products... It is also nice to think that e-products in of themselves are pretty environmentally friendly and thus widely vegan approved. Nutritiously's affiliate program pays out some pretty darn good commissions and they have some nice cookies that last for 30 days. All in all, if you have the right audience this can be a fairly lucrative affiliate program. But you will need a website. Nutritiously sells different vegan related e-guides (if you want to call them that). One of their guides, called From A to Vegan: The Complete Starter Kit, is basically a series of e-books that helps people become vegans. It can be a difficult procedure for someone to switch over to a vegan lifestyle. If you are someone who was in the process of doing this, or who has done it recently then I am sure you are well aware of this. A lot of people give up with veganism and this is because they often take the wrong approach. Another product they sell is called Losing Weight Effortlessly… And this is a series of three e-books that is all about losing weight on a plant-based diet. Anyone can join this program, even if you are outside the US, but of course it is a requirement to have a PayPal account in order to get paid, so some countries might be off limits because of this requirement. The No Meat Athlete affiliate program might be worth joining if you have an audience that is vegan and is interested in races, specifically marathons and triathlons… Although their products may also convert well for similar types of athletes. This affiliate program pays out 50% commissions and you may be happy to hear that you don't even need a website to promote it. You may have never heard of No Meet Athlete before but they have actually been featured in Runners World, WebMD, SHAPE, zenhabits, and others. Just to give you an idea of what you could promote here, their products include the Triathlon Roadmap and Marathon Roadmap, Wake Up which is an e-book on positive lifestyle changes, and Fuel Your Run the Tarahumara Way which provides recipes and info about what you can eat as vegan fuel. But not all of their products are simple e-books. For example, the Marathon Roadmap includes not just an e-book for guidance, but also gives you a weekly check-in video to keep track of your fitness goals. These products range in price from around $17 to around $67.… Which means you could earn around $8.50 to $33.50 per sale. Now if you are familiar with ClickBank then vegan probably isn't the first thing that comes to your mind when you think of them. However, they are definitely a darn good affiliate program out there for people looking to promote vegan e-products and I'll prove it. As you may know, ClickBank is in a way similar to eBay. They are basically marketplace where individuals can easily and safely sell their own products to buyers. They started out as a strictly digital product platform but have since expanded to now sell physical products as well. The commissions that you can make will vary a lot because it all depends on the seller, but I have seen some products on ClickBank offering over 75% commissions and based on what I saw with the vegan related products, there are some decent commissions out there waiting to be made. ClickBank products also often have pretty high conversions because people with online marketing experience often create them, and many of them have upsells which means the potential for making more money on top of the initial sale. As you can probably tell by the name corkor, this company is all about selling cork based products. You can promote fashionable products for both men and women and it is all made from cork fabric, which comes from trees that are part of sustainably managed forests… All FSC certified. The products are also created with love… Being handcrafted with the use of machinery instead of being manufactured on a mass scale. Products range from around $10-$160, so there is the potential to earn some decent commissions. 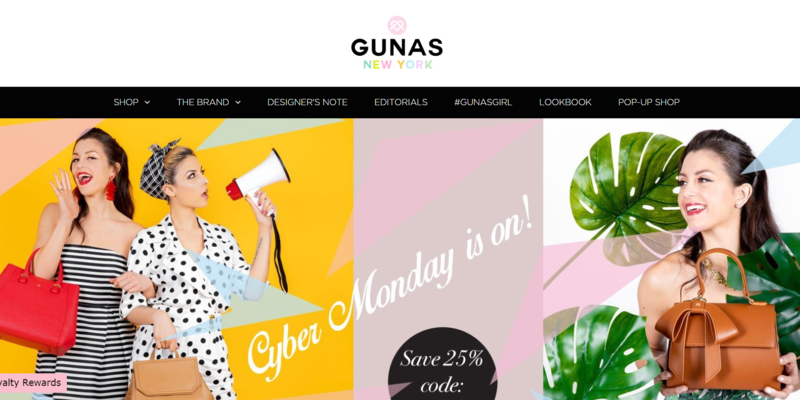 Gunas is another great affiliate program to join if you are looking to promote vegan fashion. They claim to be "America's first 100% vegan handbag brand", and while I do not know how true the statement is, regardless they are a good brand with a lot of good products. And… They have been around for a while, since 2009. Bags, bags, and more bags. This place sells all sorts of bags from shoulder bags, to cross body bags, to clutches, backpacks, totes, and even wallets. All of their products are 100% animal-free. There is no fur, wool, leather, silk, etc. Instead they use materials like eco-polyurethane, ultra-leather, ultra-suede, nylons and others. It is also worth mentioning that they go beyond just manufacturing vegan bags. They are all around cruelty-free and make sure that their different manufacturer locations treat their workers fairly. One thing that I like about this affiliate program is that, although the commissions start off pretty darn low at only 7%, you do have the ability to increase that percentage. There are also lots of expensive bags you can promote, some costing over $200 which could earn you some nice commissions. And then there is Thought… This is a good brand to promote to an audience that you think might be interested in clothing fashion. They have vegan clothing available for both men and women, and these include things like dresses, jackets, knitwear, leggings, socks, skirts, tops, trousers and more. The materials used for the clothing include organic cotton, bamboo fiber, hemp, rayon from recycled tree pulp, and they also use tencel and modal that our first harvested from sustainable forests. They have a wide variety of products and are not too crazy expensive… So if you have an audience that is looking for vegan fashion, but is on a budget, this might be right up your alley. Making 6 to 12% commissions is nothing amazing, but they do claim that their conversion rate is around 7% which is pretty good. The affiliate program is ran through LinkShare. 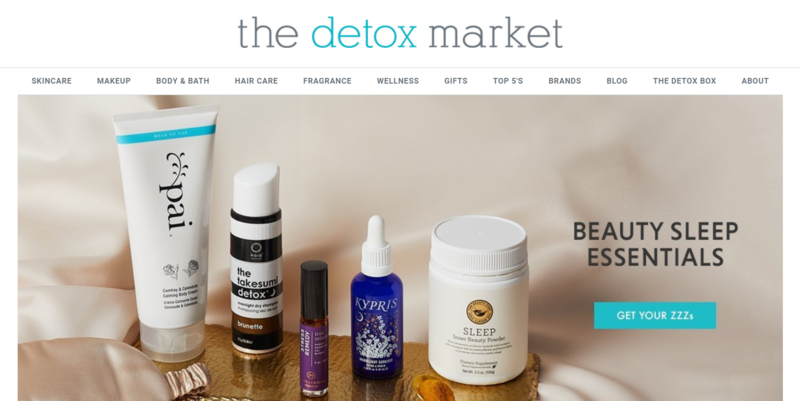 The Detox Market was founded in Venice Beach back in 2010. They specialize in vegan cosmetic products such as skincare, makeup, hair care, fragrances, bath and body products, supplements and more… Which are all natural and cruelty-free, and are of the highest quality, being checked for purity before being sold. Products from this place could convert well with several different types of vegan audiences. They have products that are focused on anti-aging, reducing wrinkles and stuff like that, and they also have makeup and fragrances… Which sometimes attracted two different audiences. Most of their products aren't that expensive but they do have some that are well over $100 and that you could earn some nice commissions with. 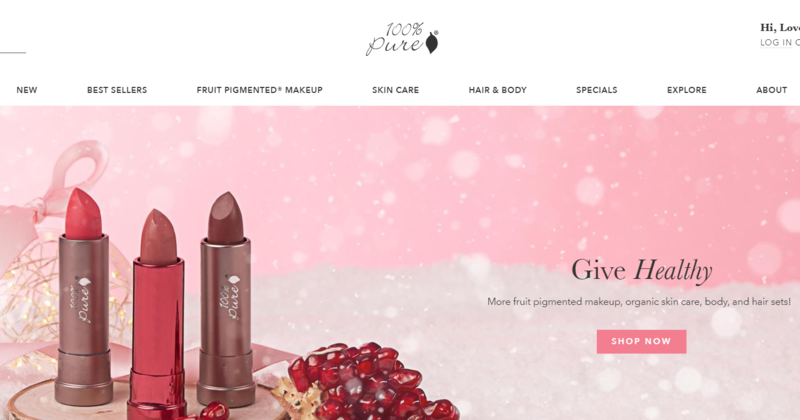 And last but definitely not least, we have a place called 100% Pure that is all about creating cosmetic products that are 100% pure with natural ingredients, containing no synthetic dyes, fragrances, etc. Everything here comes from plants, the pigments, the fragrances, every part of the formula. And they go through a lot to make sure their customers get the best products. This place uses a patent pending formula based around stabilizing ingredients from oxidation so that they do not lose their potency. So what you get is non-toxic, organic, vegan, biodegradable, and potent. Commissions our nothing amazing, and I'm not exactly sure how long the cookie link that is, but when perks of this affiliate program is that you don't need a website. There are a lot of different approaches you can take when it comes to promoting vegan products. One thing I would recommend is to choose a "micro-niche", which basically means to narrow down the larger vegan niche a bit to a smaller sub- niche. So instead of targeting vegans in general, try to target a specific type of vegans. Just to give you an example, you could target vegans that are into leather fashion, fake leather fashion of course. You can promote all sorts of things such as wallet, belts, bags, etc. and join affiliate programs like Corkor and Gunas. I would also highly suggest creating your own affiliate website. Yes, this can be a daunting task and it certainly may be more appealing to just go promote products without a website, but with a website you can definitely make more money. You can check out my recommended training for building a website and creating your own affiliate marketing business for more info. This took me from $0 to over $6,000 dollars a month online. If you are involved in the weight loss niche at all and want to make money promoting products, then finding the best weight loss affiliate programs out there is something that is probably near the top of your list of things to do. The types of products that you promote can be the difference between success and failure. 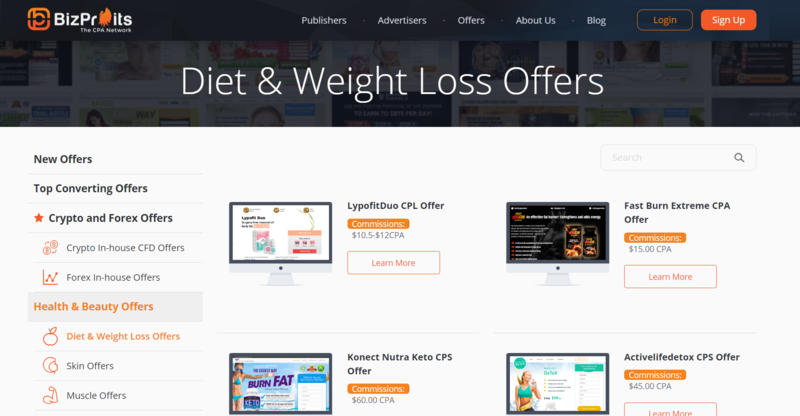 Maybe you have an email list in the weight loss niche that you want to promote some weight loss e-books to, maybe you have a website where you want to promote weight loss supplements, maybe you have a large social media following that you can promote weight loss meals to… And so on. Doing affiliate marketing myself since 2015, and doing this stuff full time, I'm well aware that the opportunities out there vary greatly. You don't want to promote a crappy product just for the money and you don't want to promote a good product if it means incredibly low commissions… You want to find a happy medium where you can make decent money and promote products that are not crap, which is what I'm going to help you with. 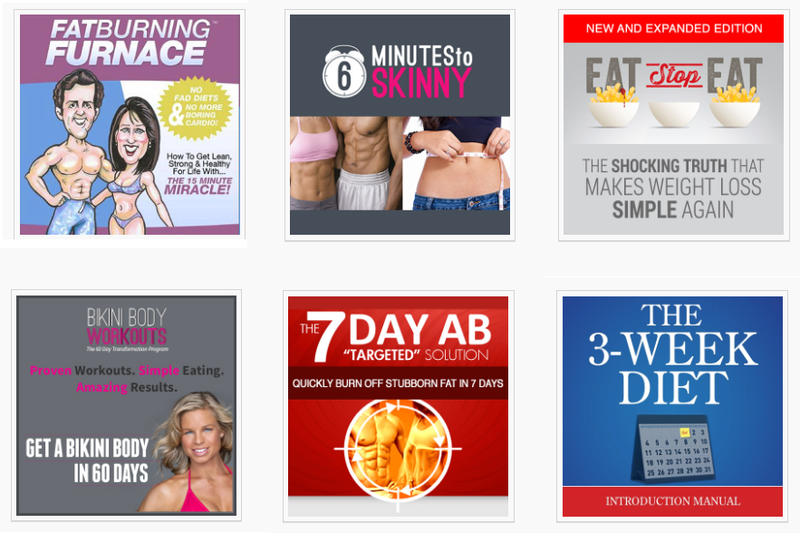 In this short post I'll be going over 12 weight loss affiliate programs that are some of the best out there in my opinion. 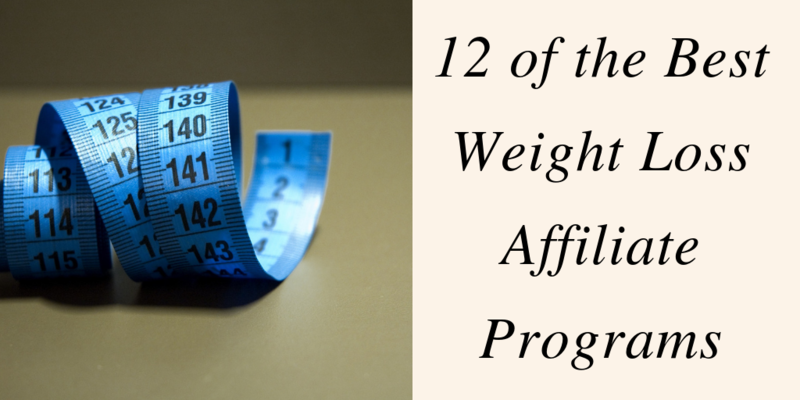 Now of course one program might be great for one person but not so great for another, but this list of 12 includes good affiliate programs no matter what your angle is inside the weight loss niche. 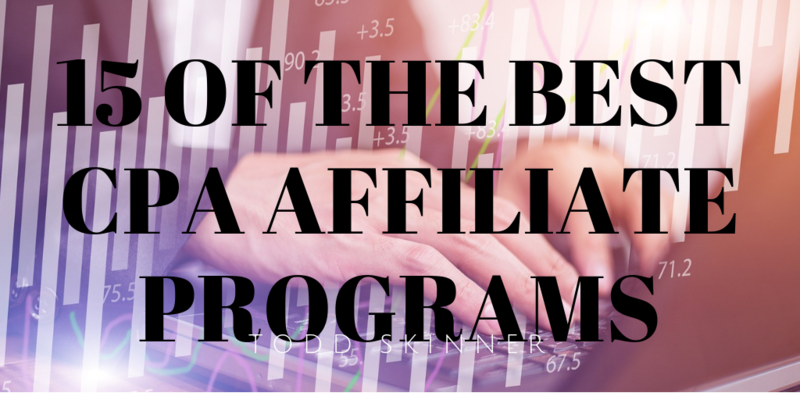 But before I get into the last, I first want to go over some important details about the following affiliate programs and some terminology should know about before-hand. Some Things to Know First.. If you are reading this you probably are well aware of what commissions are and how important they are when it comes to choosing an affiliate program. When it comes to affiliate programs, commissions are simply the the amount of money you make when you help refer a sale, which usually come in the form of a percentage of the final sale price. These can vary an incredibly lot and in the list below you will see that I mentioned some programs that pay as much as 90%, while as others pay less than 10%. Something else you will come across in my list is multiple-tiered affiliate programs, in particular 2-tiered programs. These programs not only pay you commissions for sales that you help generate, but they also pay you commissions for recruiting in other affiliates from the sales that they generate. And lastly I want to talk about "cookies", which are small text files that basically track people you refer to seller's websites and give you credit for the sale. Of course it is always best to have cookies that last longer because this way the buyer can click on your affiliate link, visit the buyers website, leave, come back later and you will still get credit for the sale. Some cookies, like Amazon's for example, in the last 24 hours while other affiliate programs have cookies that last forever. But anyways… Let's get into the list. And just to let you know before I start, this list is not in any particular order because, as I stated earlier, some affiliate programs may be better for some people than others due to promotional methods, audience, etc. Intechra Health all in all is a pretty darn good affiliate program that has a handful of well-known and trusted weight loss products, such as FenFast 375, 3G-Burn and others. This program is one that you can make some pretty decent money from if you are good. They pay high commissions, have second-tier commissions, 30 day cookies, and of course the products are pretty good… It is also worth noting that all of these products are manufactured in the United States in a Good Manufacturing Practices certified (cGMP) facility. You have the option of either joining their affiliate program directly through them, or if you are already a member of the affiliate network ShareASale you can actually join through this network as well. The affiliate program is pretty much the same, just the commissions range from 30 to 50% instead of a flat 40%. You can sign up for ShareASale here if interested. 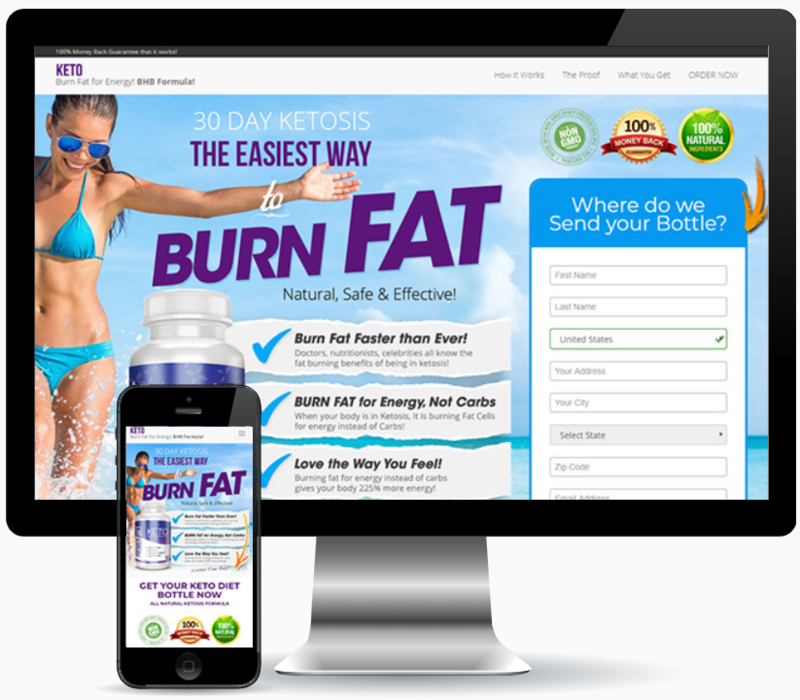 MoreNiche is another fairly popular weight loss affiliate program and for good reason. They pay out some pretty massive commissions, the cookies last forever, there are plenty of products available for you to promote, they offer good support, in the even have a private Facebook group so you can communicate with other people. I would actually consider this place more of an affiliate "network" because they run affiliate programs for many different companies, which is why you have access to promote such a wide variety of products. They have appetite suppressants, carb blockers, calorie burners, metabolism boosters and much more. But again, that is just an example. You can find up to 80% commissions on some products. If you want a lot of options and don't want to have to go out there to join a bunch of different programs, this is definitely something worth looking into. It it is also nice and helpful that they provide an affiliate training course that you can get access to which is particularly good if you are a beginner. If you are unfamiliar of what ClickBank is, basically it is a product marketplace where individuals or businesses put their products for sale and ClickBank handles the transactions, in a way similar to eBay. They started out as a strictly digital product marketplace, but have evolved to include physical products as well. And one of the cool things is that, besides having tons of products to promote, you can also potentially find products that have recurring commissions due to being a subscription/membership type of product. The Weight Watchers affiliate program (https://www.weightwatchers.com/us/affiliate) might not look that attractive from the small $10 base pay that you get for referring each subscriber, but the one thing this place definitely does have is the trust factor. Weight Watchers has been around for over 50 years and is a very well known diet company, and for good reason… They sell things actually work. Weight Watchers is a subscription service that offers several different types of weight-loss memberships. They have apps that provide guidance with weight loss programs, personal coaching for customized diet plans to fit everyone's lifestyle, and even in-person meetings. But of course what you get all depends on the membership you choose. One of the downsides I believe is that they do not offer recurring payments, although it is a subscription service, which is a bit strange and disappointing. Another downside is that you only get paid once a month, which isn't a big deal to me but I know a lot of people will have a problem with this. You keep commissions for returned products! They have all sorts of products… Products in weight loss, skincare, general health, supplements, and more. When I first came across this website it was a bit strange and confusing to me. Apparently they sell over 200 different products in 100 different countries and it seems that they own all of these products. They own tons of different websites and basically set up a new website for each product or type of products. They offers some pretty darn good commissions, decent cookie length, and don't even require a website which is nice. You also get some help from the design team which can help you out with promotional banners and such. All that said, I will say that there are some questionable offers available so just research before promoting products from this program. This place is another one that you can potentially make a good chunk of money with. They offer some pretty decent commissions, have cookies that last forever, and really go at it with their sales pitches with really effective landing pages and all. In a way, they are a bit similar to Market Health mentioned above. They take the more in-your-face "salesy" approach when it comes to promotions in their are some "questionable" products here as well. One of the cool things about this program is that some of the offers you can promote and make money with just for getting people to sign up for trials, which depending on your audience might work out well. The Mayo Clinic Diet is another possible good promotion if you are involved in the weight loss niche. Just about anyone who has ever done a little bit of research on weight loss knows about the Mayo Clinic. There are one of the most trusted sources of weight loss information out there and this happens to be there very and diet program. Basically what this diet program consists of is semi-personalized meal plans with recipes, an app so that people can track their progress along with interactive tools, as well as semi-personalized workout plans. Subscribers to the diet program are billed $65 on a quarterly basis and since you can earn up to 75% commissions per sale this means you will earn around $49 per subscriber if they stick around for a quarter. That said, I'm not sure what happens if they cancel early and how much you will make in such cases. I also was not able to find any information on how long their cookies last. The Mayo Clinic Diet is nothing crazy and it doesn't promise crazy results… It would be good to promote to an audience that is not out there looking for some magic pill and is looking for a more natural and practical approach to weight loss. 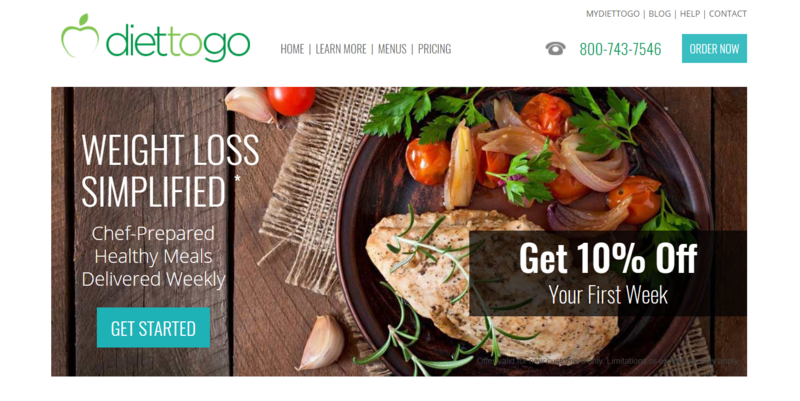 The Diet to Go affiliate program (https://diettogo.com/affiliate-program) is one that I could think potentially be a very good performer for a lot of people out there involved in the niche. They call it their "media partner program", but it is really just an affiliate program. This program offers a minimum of $40 per sale with the potential for increased earnings, 45 day cookie length, and you can get accepted without having a website. What type of diet program is this? Well… It is all about meal plans. They offer a selection of appropriately portioned healthy meals to help people reach their weight loss goals. These meals are shipped directly to the people and come ready to be heated and eaten. They offer all sorts of good and healthy meals and even have certain categories of meal plans such as those for people with diabetes or "prediabetes", a keto diet plan, vegetarian, and their normal meal plan. Customers are able to personalize their plans based on what types of food they like and overall it seems like this diet plan gets a lot of really good reviews… People like it. Simple and effective… Nothing more than good food served in portions to help people lose weight. This would be a good promotion for a no BS audience. This diet plan is pretty similar to that mentioned previously. They plan the meals for you and you can even have other people do the shopping, so that all you have to do is cook the meal. Yes, this will require some cooking so if you are promoting to an audience that is looking for little to no work, this might not work best. The the way this service works is they have just one subscription and members are able to choose meals from a large variety under the categories of: quick and healthy, low-carb, paleo, clean eating, and budget friendly. I was looking through some of these meals myself and they look pretty darn good. I personally don't like spending too much money on food and could really use the budget friendly meal plan… My home meals are just too bland and boring, just all around bad. But as you can see, and neither of these are very big money makers. This program is another one that is powered by Commission Junction and although it is definitely on the low-paying side, it can be effective for some people. With GNC you don't get high commissions. In fact, you get very low commissions… only 5% which in my opinion is pretty darn bad. You don't get a very long cookie length… Only 7 days… So what do you get? Well, you get a heck of a lot of products at your disposal to promote and you get the trust that comes with such a well-known store. Everyone knows about GNC and you are going to have the problem with people not buying because of lack of trust. This place has been around since 1997 and not only do people trust what they are buying, but they also are more willing to buy because if they want to return a product they can simply walk into a physical GNC store. 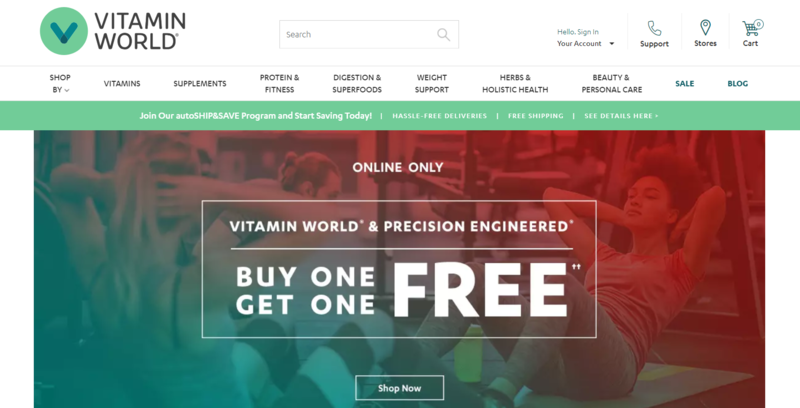 Vitamin World is similar to GNC… The affiliate program is not all that lucrative, although they do offer higher commissions and longer cookie length than GNC, but the trust factor is high. According to them, average sales range from $65-$125, which means that average commissions should range from $5.2 to $15, so that really is an all too bad I guess. And of course you have a ton of different good weight loss products you can potentially promote. You have your popular Hydroxycut lineup as well as many organic mixtures… Different types of weight loss products that you can promote two different micro niches inside the bigger niche. It's a similar type of deal here. 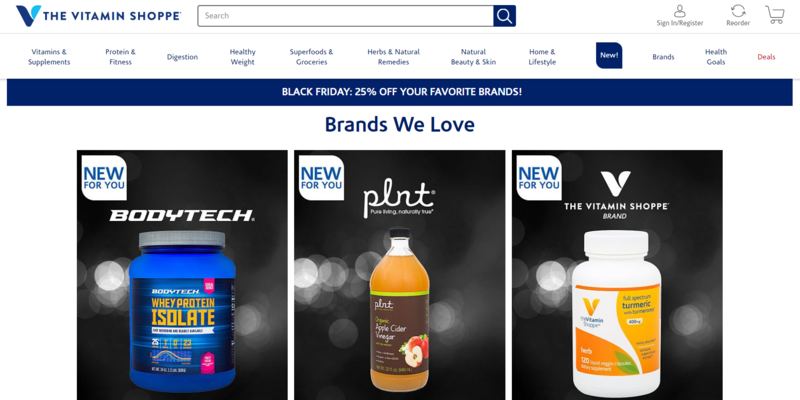 Vitamin Shoppe is a fairly well known name and sells a lot of different products. You can choose from cleansers, to teas, to keto weight loss products, to natural products, and even weight loss protein bars. I personally would use an affiliate program like this for promoting products I can't find any better affiliate program for. When it comes to promoting products as an affiliate there are many different paths you can take. There are people that stick strictly to email marketing, there are those that only promote on social media, there are those that have their own website, and so on. Personally I think that the most effective route to take is having your own website because with a website you have potential to bring in traffic in a variety of different ways and you can grow a social media following and email list with your website. Being able to get free traffic from search engines like Google can be incredibly effective and this is probably the main reason why I would say website is necessary. As mentioned in the beginning, I have been affiliate marketing since 2015 and do this stuff for a living. And yes… I do have my own websites where I do my promotions. If creating your own niche website and affiliate marketing like a pro is something you think you would be interested in, I would highly recommend the Wealthy Affiliate training program. This is the same training program I started out with back in 2015. There or a heck of a lot of CPA affiliate offers out there, and in a way there are too much.… So many that it is hard to know what to choose. Should you choose this offer, that offer, this program, that program… It can be hard to decide. But one thing is for sure… You want the best. You want to choose the best CPA affiliate programs to earn as much money as possible. After all, I'm guessing this is the goal you had in mind. This short post goes over 15 of the best programs that anyone should be able to find good offers on. It doesn't matter where you are in the world, what niche you are looking to promote offers in, what type of offers you are looking to promote… These are 15 of the best programs out there and there is some great opportunities with them. However, before I get into the list I first want to you over what exactly CPA affiliate marketing is, because there does seem to be some confusion in the online world about this term. 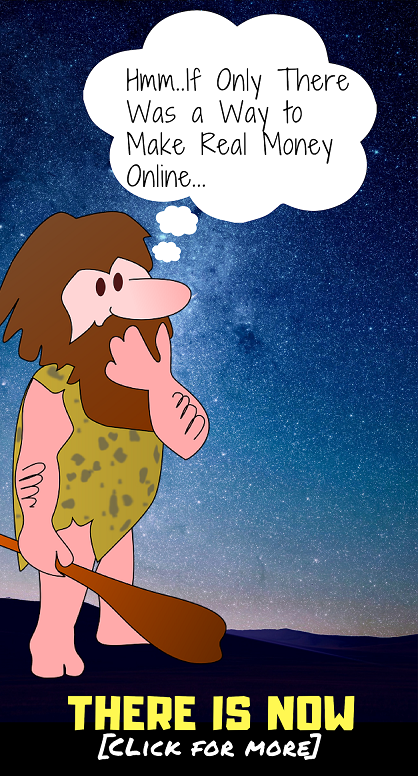 What the heck is CPA affiliate marketing? There is CPA, PPC, CPC, PPL, etc. when it comes to affiliate marketing or online marketing in general, and they can get quite confusing. CPA stands for "cost per action" or even sometimes is referred to as "cost per acquisition". However, I like referring to it as cost per action because I think that makes more sense most of the time. In a nutshell, CPA affiliate marketing is when you promote offers and get paid when the visitors you drive to the offer perform some sort of action. This action could be signing up for an email list, downloading an app, entering a sweepstakes contest, buying a product, etc. A lot of people that get involved in affiliate marketing go after the high-ticket offers in order to potentially earn thousands of dollars from one sale, but these are not always the best choice. Sometimes it is better to just try to earn small amounts of money just for driving in a lead or something along these lines. Those small amounts can really add up. If you are able to convert your traffic with high-paying offers, then go for it, but these will not always work out realistically. There a lot of different types of CPA affiliate programs out there. Some only allow members to join from certain countries, some require you to have your own website, they vary on which payment methods they offer and so on. In this list you will be able to find a variety of different programs, some of which don't require you to have a website, some of which provide an abundance of payment methods that anyone should be able to use, and some that are sure to be available in your country. I'm listing MaxBounty number one because they are one of the most popular CPA affiliate programs out there and for good reason. 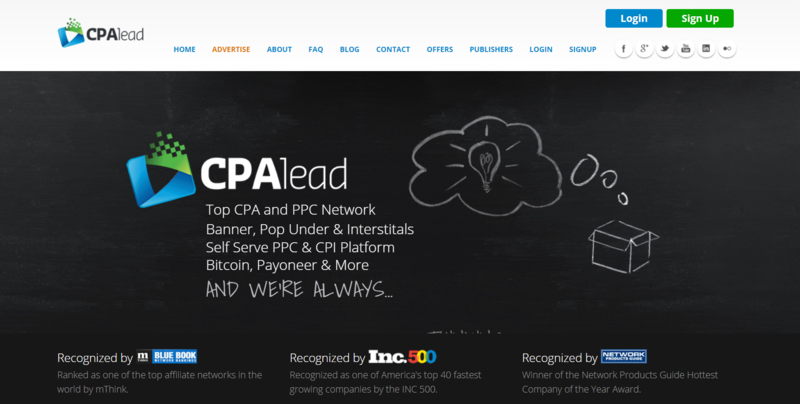 Based in Canada, this place claims to be the "best CPA network for affiliate marketing programs", and while I don't know how true the statement actually is, they are definitely one of the best as far as I see. You can find all sorts of offers that pay out on a per-lead or per-sale basis. I have seen opportunities paying as much as $12 for just a lead and others that pay as much as $500 or more per sale… Just to give you an idea. The only complaint I have with their offers is that they do allow some "questionable" advertisers on their platform you are selling products that are pretty scammy in my opinion. So you just have to be careful with what you choose to promote. One of the nice incentives to join this program, other than the fact that they have a lot to offer, is that they give out a $1000 bonus if you earn at least $1000 per month within your first three months of joining. As far as payments go, you can get paid via check, PayPal, ACH, bitcoin, Intercash, eCheck, or wire transfer. Panthera Network, which is a division of Panthera Interactive LLC, is another really good program. Their focus is on CPA/CPL, which a lot of people say interchangeably. What I mean by this, is that CPL, or cost per lead, could be described as a branch of CPA affiliate marketing. But PayPal isn't the only payment method that they offer. You can also get paid via check, wire, or ACH. You can find a lot of different offers to promote, and there is a lot of focus on paid survey offers, GPT offers, mobile offers, shopping, dating, travel, games, and more. One thing that I like about this network is that the support is pretty good. You are assigned your own affiliate manager to help you out with things. And besides this, you also have a lot of resources at your disposal to hopefully make as much money as possible, such as a lot of banner advertisements to choose from. People outside of the US are able to join the network, but they might not have all offers available to them. If you have ever looked into different CPA programs before, you have probably heard of Shareasale. Based in Chicago, they have been around since 2000 and are one of the largest out there. This massive network has tons of CPA opportunities where you can get paid per-sale as well as per-lead, which are different types of offers that all affiliate marketers should be using simultaneously. This place also has a very good job of helping you out so that you can be effective with your promotions. There are banner ads and even video ads that you can use through this program with some offers that are out there, although not all. And as far as payment goes, they offer direct deposit. Commission Junction, often referred to as just CJ, is another veteran in the affiliate program network industry. It is another that is easily one of the biggest out there and has been around forever… Since 1998 when it was founded in California. As you can imagine with a large network, there trusted by many popular brands, some of which include Lowes, Overstock, and Office Depot. The platform that you get to work with as a member is easy to use. You can go in, navigate around, find relevant things you can promote, grab links and be promoting them in no time… Of course assuming that you are already approved to promote the products. One of the downsides (or what some people consider a downside) is that you will need a website to get accepted here. And no, they are going to accept you if you just threw up some crappy website yesterday. One of the cool things about CJ is that some of their advertisers use what is called "cookieless tracking", which means that they do not use cookie tracking codes and are more privacy friendly, which is a good thing since there has been a large crack down on Internet privacy recently by governments. As far as I know, you can only be a member if you are in the US, UK, Germany, Sweden or Spain. For some reason it doesn't seem that they offer membership to Canadians, Australians or others. Clickbooth definitely deserves to make the list, and maybe I should've put a higher up, but like I said… It is hard to rank these. If you look up reviews for this place on Google you will surely find lots. They have tons of offers and a variety of different types, including cost per-lead, cost per-engagement, cost per-click, and cost per-install. The reason you will find so many good reviews about this place is because they do a lot for their affiliates. They provide different tolls to make things easier, such as the rotator, which allows you to implement a code and run different offers through that one link, as well as the "multilevel offer priority" that allows you to prioritize offers so that you have backups in case one of them hits the cap, or limit. Payments or available via check, PayPal, wire transfer and ACH. LinkShare is what the Rakuten Marketing company calls their affiliate program, so you may hear these two terms getting the runaround interchangeably. They offer very good support and even have a live phone support number, which is always a nice thing to see. In addition, they hold training webinars regularly to keep you up-to-date and help you get things rolling. And have you ever heard of "multi-touch commissioning"? Well… This place offers it and this is when you can get paid for sales that you help influence in the beginning or the end, which makes perfect sense and I don't get why people haven't been implementing this type of commissioning long ago. CPA Lead is another potential good choice for anyone looking to make a little extra money with CPA offers. They have been around since 2006 and offer a display ad service as well as a fair amount of affiliate products you can promote. What I mean by the display ad service is that, like Google AdSense and many others, they will display relevant ads to visitors that come to your site. And then of course they have the normal affiliate offer things we can get paid to promote on a per-lead basis. Also, if you are a mobile app developer this is a place you might want to look into further. They work with app developers to help monetize apps via ads and promotions. Payments are available with Payoneer, wire transfers, ACH, Check, PP, and even bitcoin… Yes even bitcoin if this would be of interest to you. PeerFly was founded in 2009 and is based out of Florida. They are relatively small in size when it comes to staffing, but you can actually look at this as a good thing since you don't have to deal with layers upon layers of people to try to get to where you are going. And don't let the small staff for you… They have well over 1000 different advertising campaigns and plenty of offers that you can promote in just about any vertical out there. What I also like about this place is that they try to make things a little bit more fun for their affiliates. Rather than just paying you when you deserve to be paid, they also do fun things like hold contests to increase participation and allow for fun competition, and they also have a rewards program for affiliates that put in the work. Like that mentioned above, you can also get paid with bitcoin here, in addition to the options of payouts coming in from PayPal, check, Payoneer, and more. The methods that are available to you will vary depending on where you live. And coming in at number nine, which doesn't mean much by the way because these are hard to rank in order, is Toro Advertising. This place claims to be one of the years top 20 CPA networks, but I'm not sure how much truth there is to this claim, although it is believable. They provide a range of different affiliate offers ranging from surveys, to free gift card sweepstakes, to healthcare offers, biz opp offers, health and fitness products, dating site offers and more. One thing that a lot of people reading this are going to like about Toro is that they do not require you to have a website in order to be a member to get approved. Yes, you may find it more difficult to be approved if you don't have a website, but it is not a requirement. Next up is ClickDealer, not to be confused with the ClicksDealer scam that has been going around on the Internet and that I have exposed on this very website. This place is relatively new compared to many of the other networks that I have listed thus far. It was founded back in 2011. Like Peerfly that I mentioned above, ClickDealer as a loyalty program for affiliates who stick around for a while and prove their loyalty. This is nice because you can get loyalty points which you can later exchange for prizes. It is kind of like an added bonus and it makes things a little bit more fun. These points can later be exchanged for all sorts of prizes… Personal care products, fashion accessories, travel packages, and of course gift cards. In addition to the loyalty program they also have contests where you can win bonuses Ian they have meet ups in exotic locations for the most loyal fans who have made a lot of money through their network. Payouts are available through Payoneer, wire transfer, PayPal, Paxum, WebMoney, ePayments, ACH, and eCheck... Which is plenty to choose from. If you are in the business of mobile advertising and mobile promotions, then CrowMobi might be for you. As the name Crow'Mobi' suggests, this place is all about mobile ads. Its specific focus is on monetizing mobile traffic, which we all know is a big deal nowadays and is just going to continue to grow in importance as more and more people surf the web on their cell phones, tablets, etc. They have offers available for many different geographic areas which is good for people who live in countries that are often excluded from affiliate programs in affiliate networks. You confined offers in categories like business, finance, travel, games, health, entertainment, shopping and more. And to help you get on the right track so that you can hopefully make tons of money, you your own affiliate manager just like some of the other reputable and good affiliate networks that I mentioned above. MaxWeb is a "performance marketing affiliate network" that I have personal experience with and have been paid from on numerous occasions. The reason I work with this place is because they have a lot of offers that payout pretty darn well and are proven to convert well. Offers such as health related supplements, e-books relating to weight loss, fitness products, and health problems, dating offers, insurance and financial offers, and more. As for as I know they only pay per sale and you will earn just for driving in leads or anything like that. One think I will say however is that you have to be a little bit careful with which offers you promote. A lot of them are somewhat "scammy" the end, although they may convert well, they will leave your traffic with a bad taste in their mouth and they distrust for future products you might promote. You have the ability to choose how often you want to get paid and payments are made via check, ACH, wire transfer, Payoneer, and SEPA. But of course depending on what country you are in these options may differ. This place was founded in 2012 and is based in New York. They have pay per- lead offers and even have pay per-call offers available, but I'm guessing that most people reading this probably aren't going to be interested in the pay per-call ones. This affiliate network actually has a lot of offers that are exclusive, owned and direct offers from Aragon themselves. What this means is that you can get faster offer approvals and payouts with these. Support appears to be good and they will help you create campaigns specific to different offers you may want to promote to boost earnings. The name sounds a bit strange, but Rulead gives a hint to what this network is all about… Which is helping generate leads for different advertisers. This CPA network is registered in Gibraltar, which may be concerning to some people, but the reason I am including on the list is because hopefully some of my readers will be able to benefit from it due to the extensive amount of international offers that are available here. And if you are concerned, it may be comforting to know that they are actually partnered with Peerfly. But anyways… Reulead has a lot of pay per-lead type of offers and also has a fair amount you can get paid per-sale or per- app download/install. If you are in a country with lots of other available affiliate programs to choose from, such as the US, UK, etc., then this might not be your first choice but were people in more excluded areas it is worth looking into. And lastly is adcombo, which is not the highest paying you not the best affiliate network, but is one that I am including because it has something to offer that a lot of affiliate networks do not. This place specifically targets "tier-2" geographic areas, meaning South Asia, Eastern Europe and Latin America. Most big affiliate networks out there that you find will actually exclude such areas, but this place specifically targets them. While you may not be able to make as much money per "action" that you are able to generate, the upside is that advertising to these areas has a lot less professional competition, so there is definitely still opportunity. Offers that are available include health products, and all games, biz opps, in a lot more... More than a thousand in total. You are able to get paid with PayPal, Paxum, wire transfer, Webmoney, Payoneer, and others. I hope this list of some of the best CPA affiliate programs out there helped you out some. I know can be a tough decision to make which to join. Sometimes you just have to join a bunch and test out the waters to see which is best for you. DON'T spam. It can be tempting, especially if you are a newbie, to go out and spam a bunch of offers to your traffic, but this is not the approach you want to take. Not only will this lead to incredibly low conversion rates and an audience that starts to trust you less and less, but you also will likely get kicked out of affiliate networks for having such low conversion rates. The reason I'm telling you this is because I have experience with it. No, I didn't get kicked out of many affiliate networks but early on in my online marketing career I did screw a few things up and lose trust a lot of my audience.